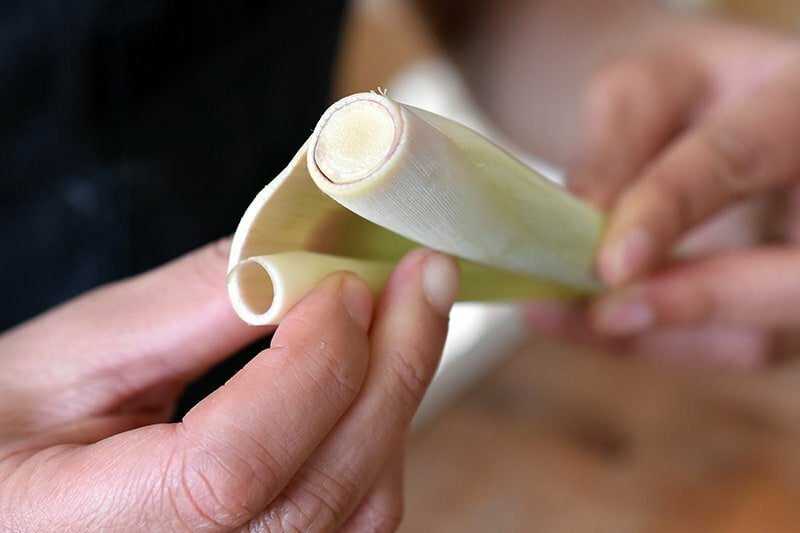 Do you want to learn how to cook with lemongrass? I’ve got a tutorial for you! Confession: I was afraid to cook with lemongrass up until our recent trip to Vietnam. I was intimidated by this tough, lemon-scented stalk in part because one of my pals ended up in the emergency room when her knife sliced her finger instead of the stalk. But to be honest, I just didn’t know how to prepare it properly. Lemongrass can usually be found in the produce section of fancier grocery stores or your local garden-variety Asian supermarket. (Tip: Lemongrass is typically much cheaper and fresher at an Asian market ’cause it turns over more frequently.) These long stalks are sold in bunches or individually. Choose the ones that smell fragrant, have greenish exteriors, and are slightly pliable. 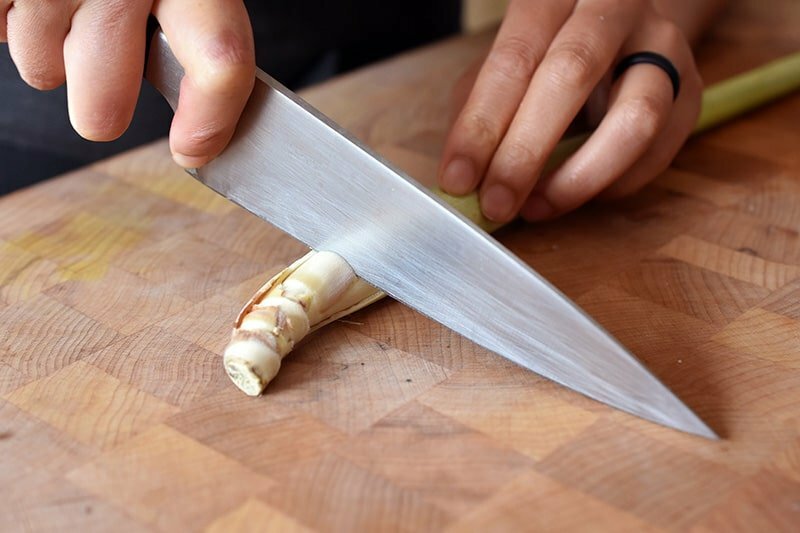 Avoid the stalks that are dried out, brittle, and bruised. 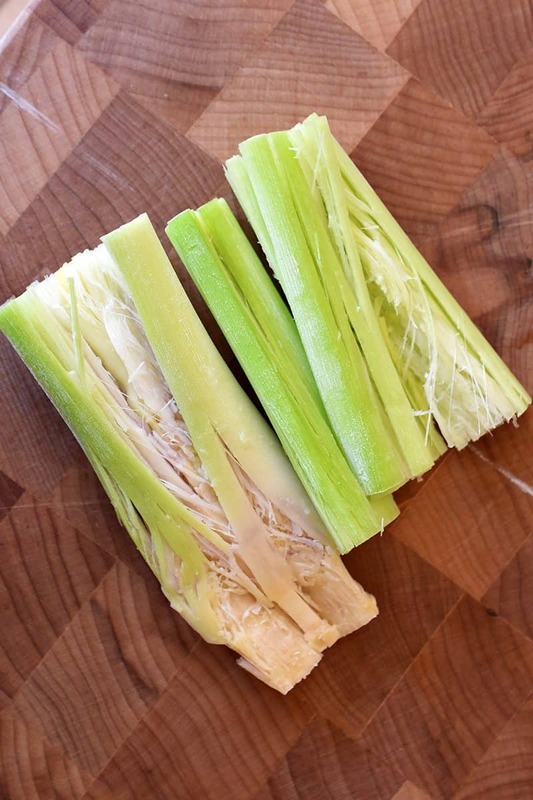 Wrap fresh lemongrass stalks in plastic wrap, and store them in the fridge for up to a few weeks. Alternatively, you can store the tightly wrapped stalks in the freezer for a few months. 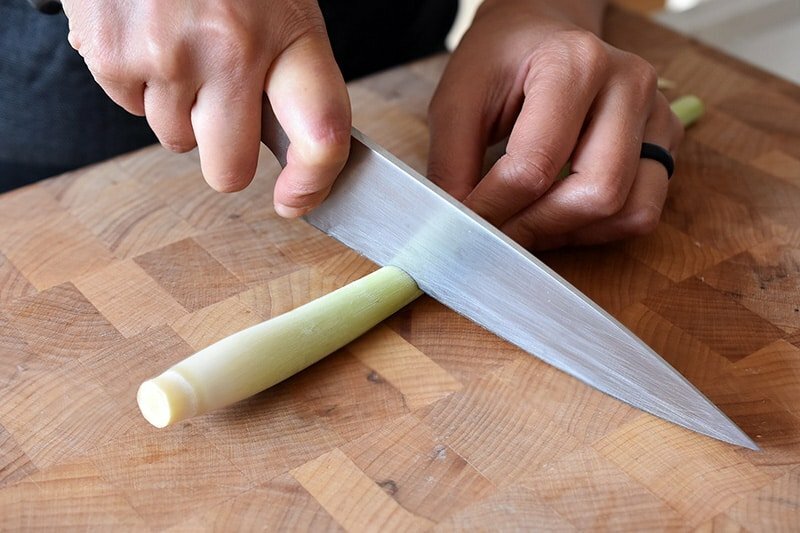 You can use different parts of the stalk for different preparations, but you still need to trim the lemongrass the same way to get to the good stuff. I normally start by cutting off about an inch from the root end, and I also trim off the dried-out leaves at the top of the stalk. 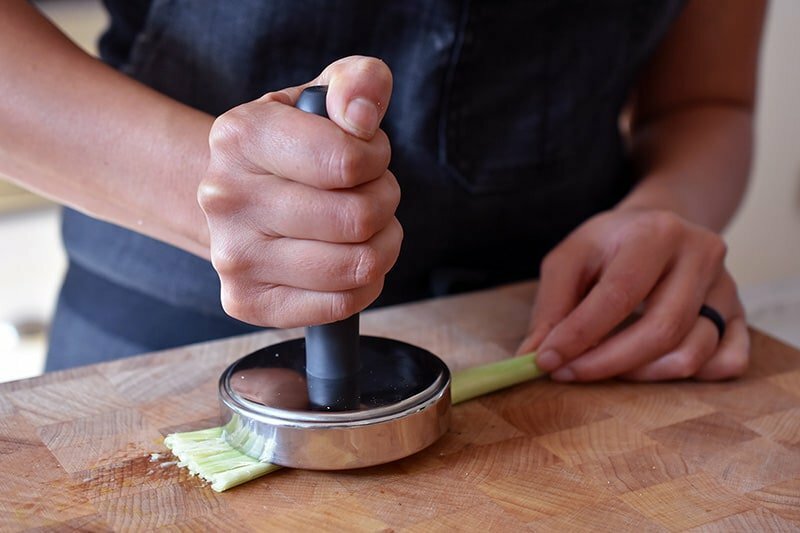 If you’re using the lemongrass in a stir fry, curry paste, or marinade, peel off the tough outer layers of the stalk until you’re left with the tender core. But if you’re using the whole stalk to flavor a soup or stew, you don’t need to be nearly as diligent ’cause you won’t be ingesting it. 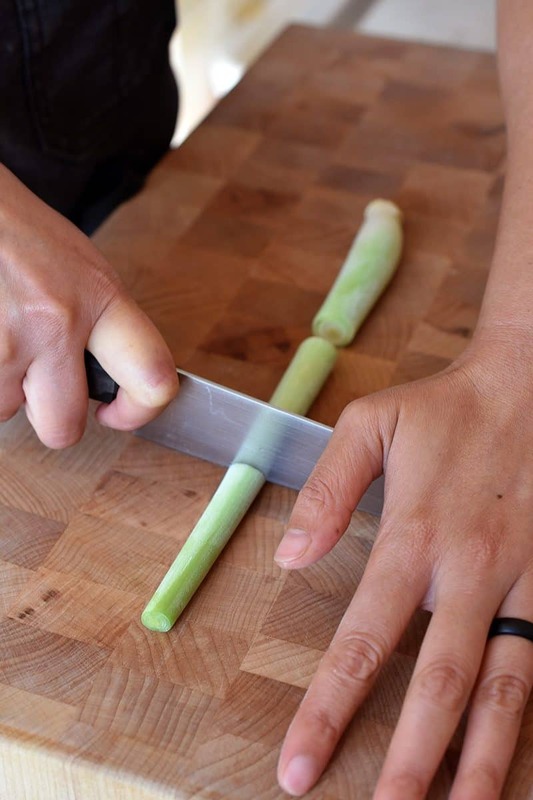 If the lemongrass will be used in a marinade, curry paste, or stir fry, you just want to use the lower, tender part of the stalk (about 4-5 inches from the bottom). No microplane? No problem! You can pound the stalk with a meat pounder or a small cast iron skillet before mincing it very finely. You need to cut against the grain of the fibers or you’re gonna get a bunch of stringy bits in your food. 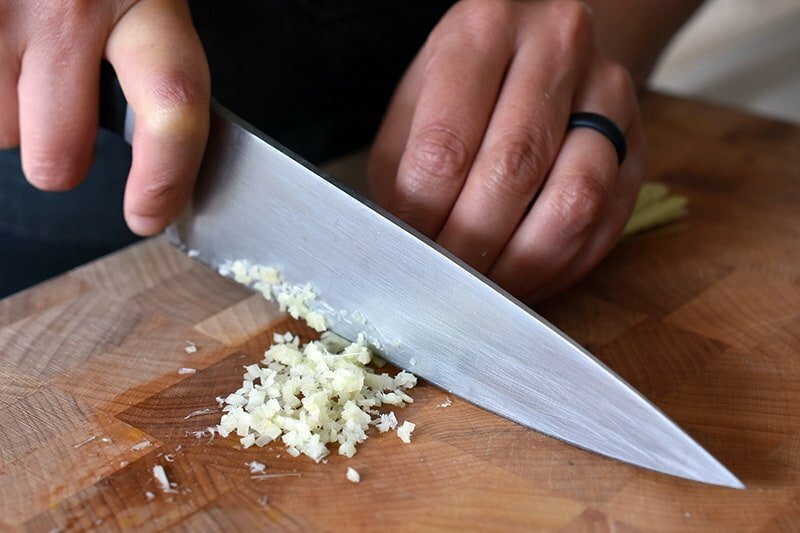 Alternatively, you can pound the chopped lemongrass in a mortar and pestle or blitz it with the rest of your marinade or curry paste ingredients in a blender or food processor. …and bash the heck out of ’em. This way, the stalks’ll release their yumminess into whatever you drop them into! Please note that you don’t eat the lemongrass when you use them in this fashion—fish out the stalks before you serve the final dish (or warn your unsuspecting guests to do so). 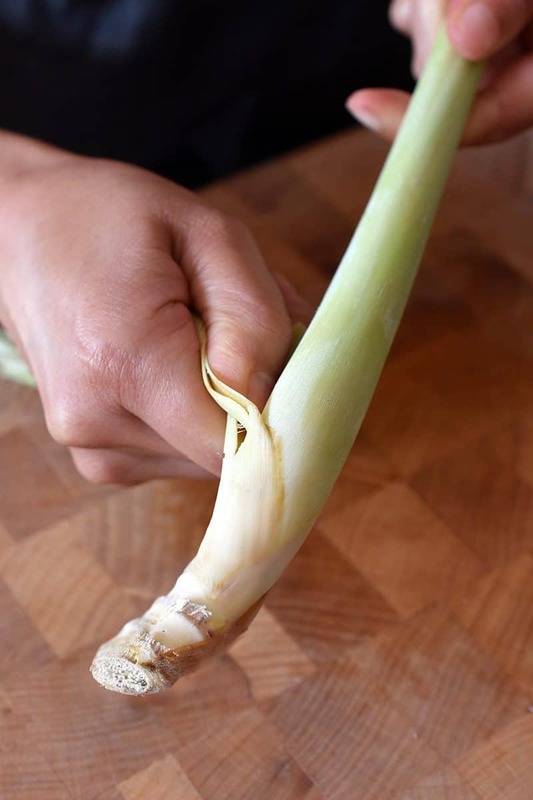 Another great way to prepare thin stalks of lemongrass for stews and soups is to bash a trimmed stalk and tie it in a bow before plopping it into your pot. 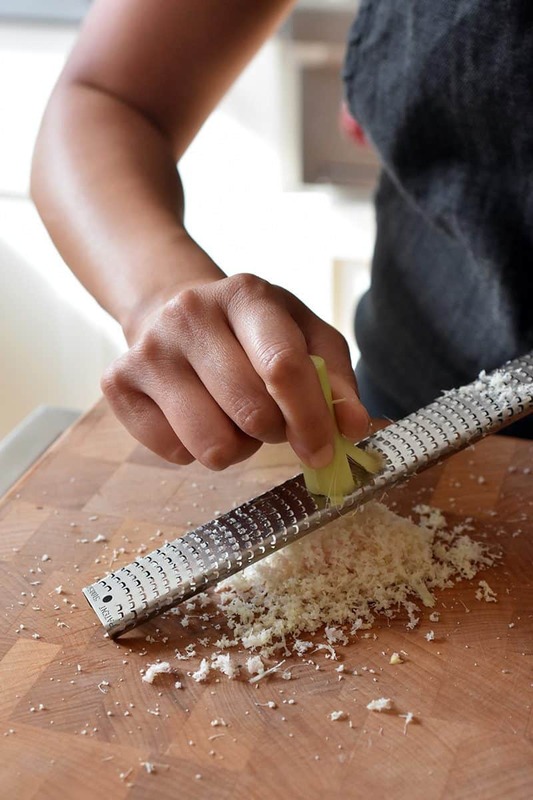 You can watch this helpful video from the folks at Saveur to see how it’s done. 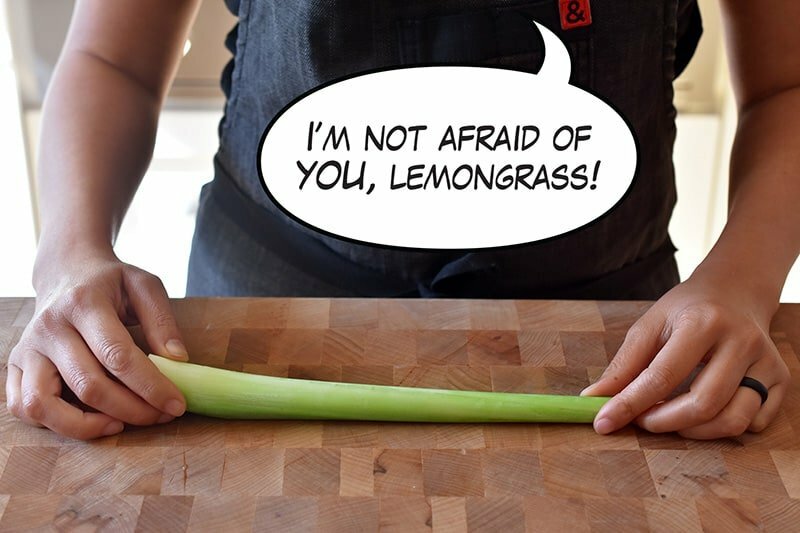 Now that you know how to cook with lemongrass, go forth and implement my tips!